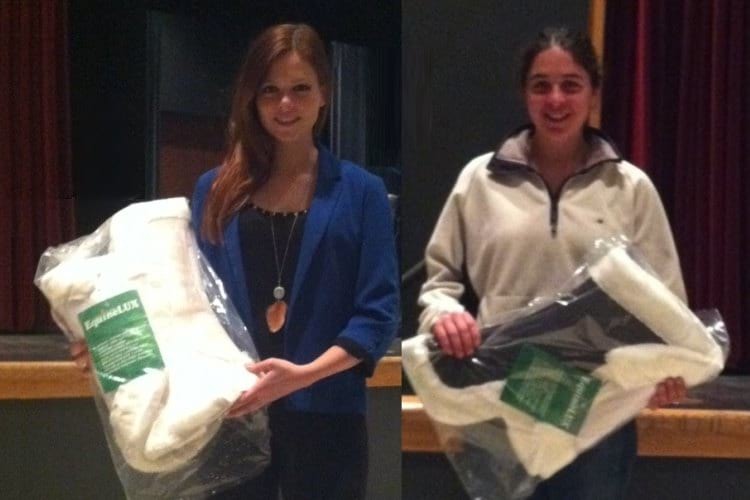 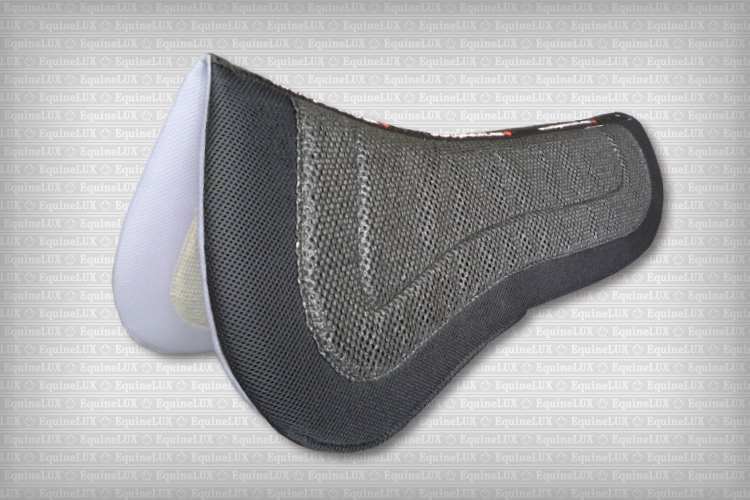 ❸ Breathable 3-Dimensional Spacer textile reduces heat build-up and provides excellent moisture vapor transfer. 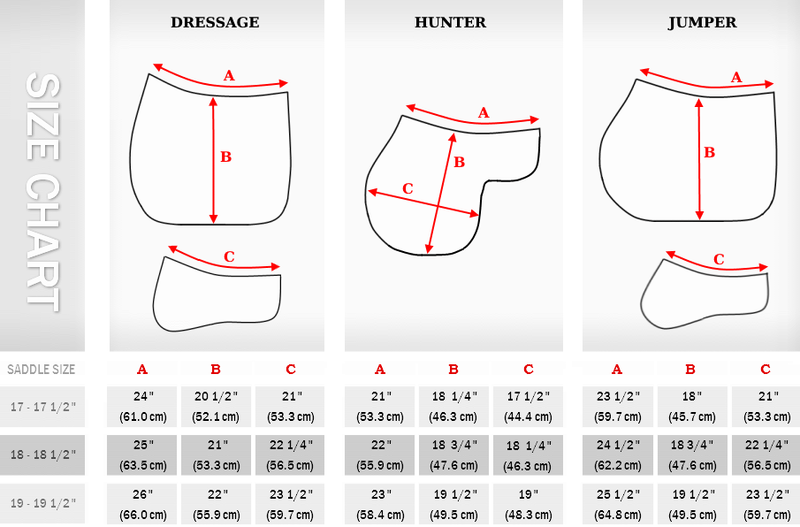 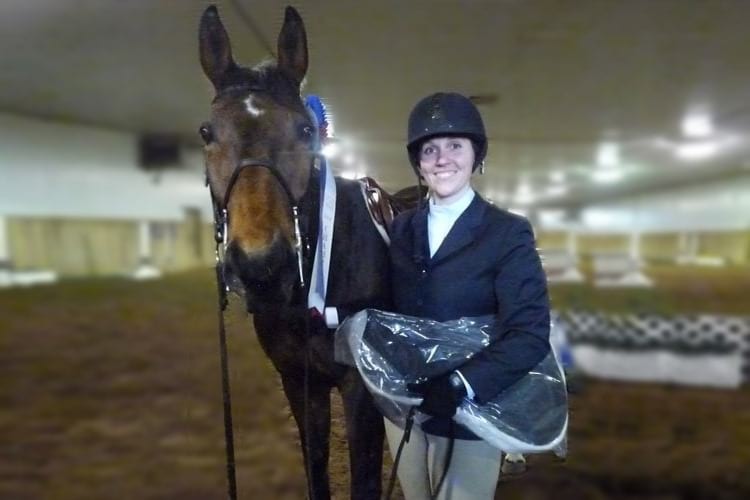 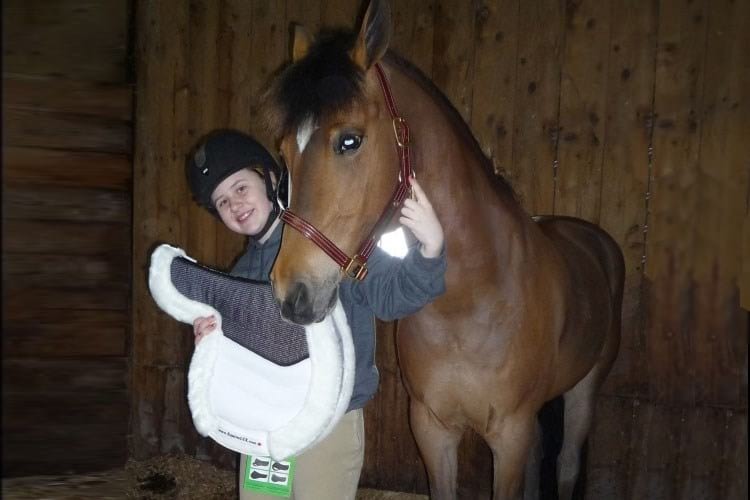 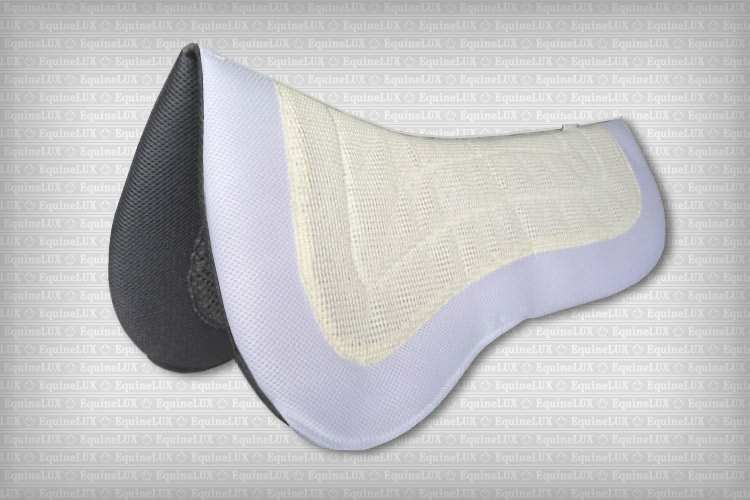 ❹ High-Resilience open-cell foam inserts allow for the rider's weight to be distributed over a larger area of the horse's back, thus minimizing pressure points and providing more comfort for both horse and rider. ❺ Both authentic and custom-made shims can be easily inserted and removed due to the wide pocket openings. 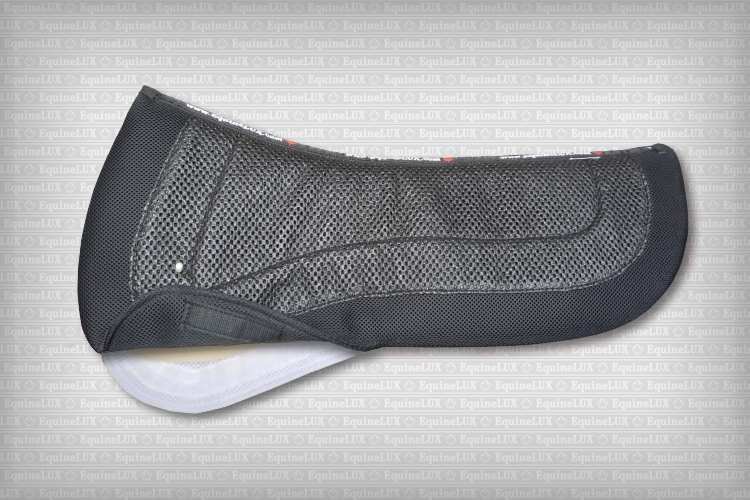 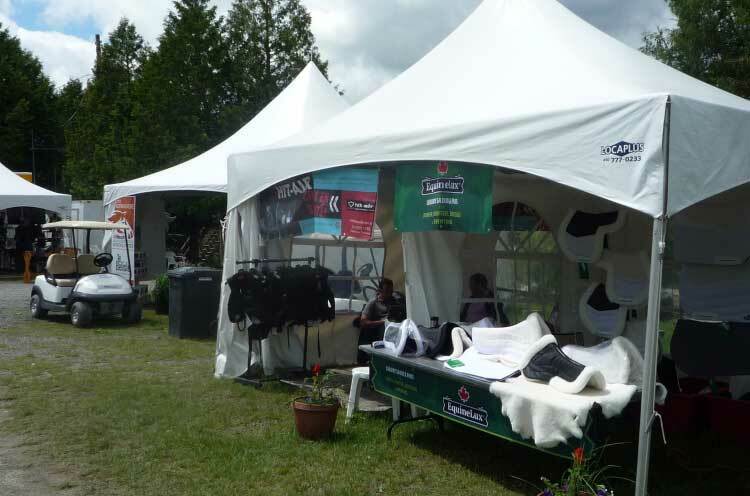 ❻ A special knitted structure of the 3-D SPACER textile allows BufferLUX Dressage half pad to dry out fast, protecting sheepskin against mold/mildew growth. 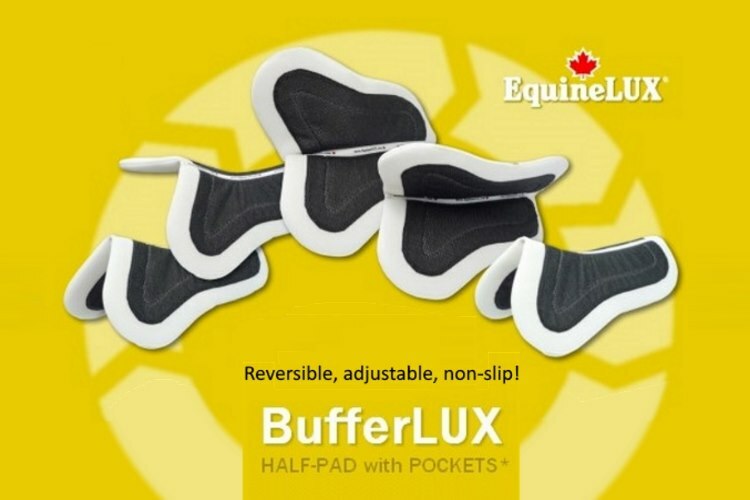 ❼ BufferLUX Dressage half pad can be used both with and without shims.